Products – Quickthree Solutions Inc.
One look at Quickthree Solutions’ product line and you’ll see our focus in action. All products are built to Lower the Total Cost of Operations to our customers, enhance their environmental responsibility and increase worker safety. What more would you expect from the first company in this space? 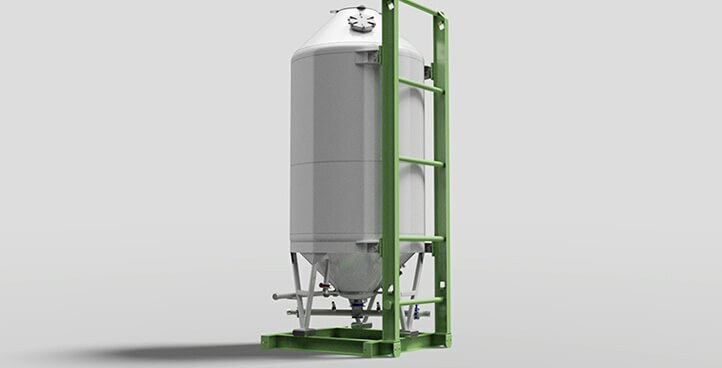 A 175 ton usable capacity, small footprint Quickstand Silo with a high extended 5 positions chute. 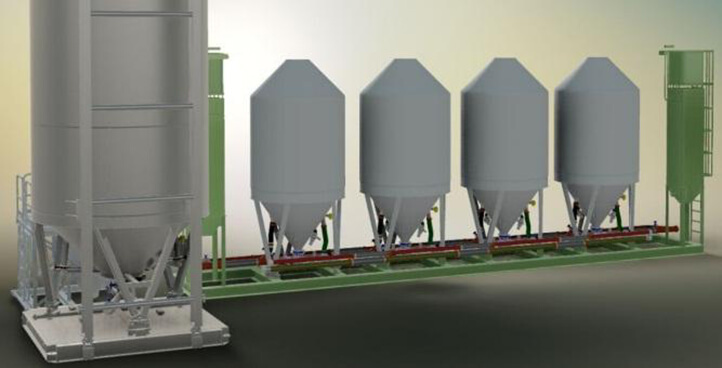 Combine 5 Silos direct to blender for a total of 875 tons. The Quickthree Cement Line has been designed to complement your unique worksite needs. 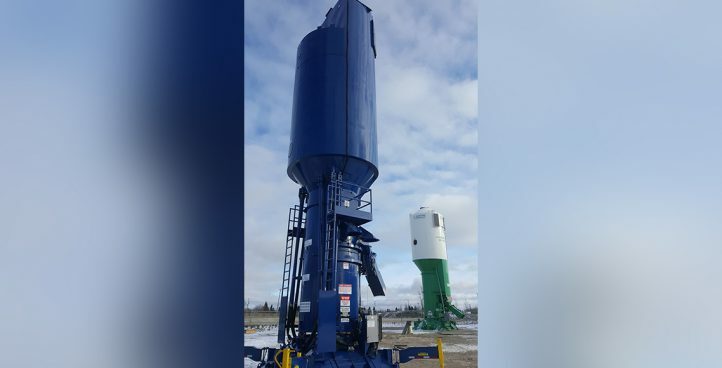 The entire line has been built to be modular to meet your specific requirements, while providing a flexible flow configuration and excellent multi-stage blending capabilities. 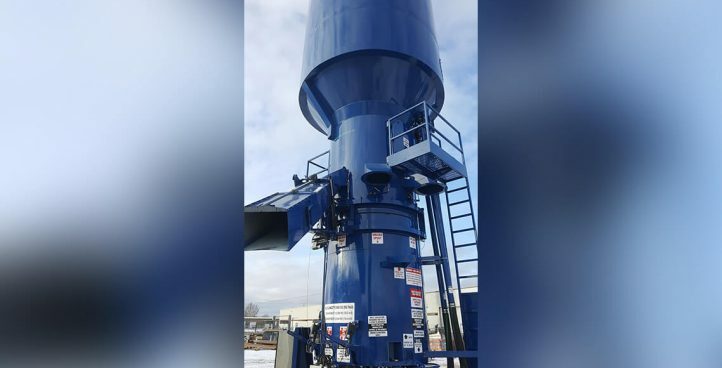 Quickthree Solutions’ portable or bulk plant silo for cement powder, gypsum, fly ash or other pneumatic bulk products are Quickthree engineered for smooth product fluidizing and cleanout. 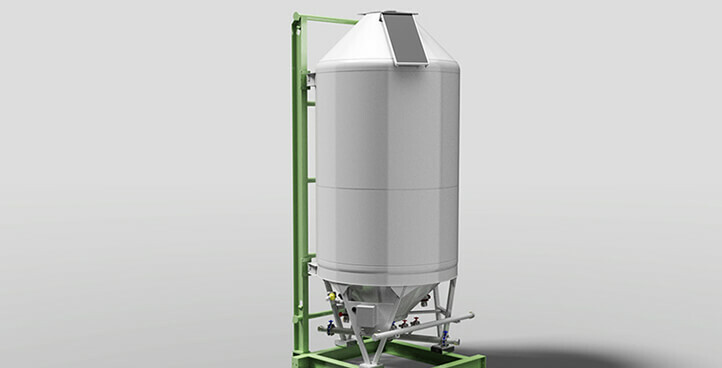 A workhorse portable silo for pneumatic bulk products with excellent product fluidizing and cleanout. We took our SP50 Silo and added our patent pending Venturi blending nozzles for aggressive, thorough blending. 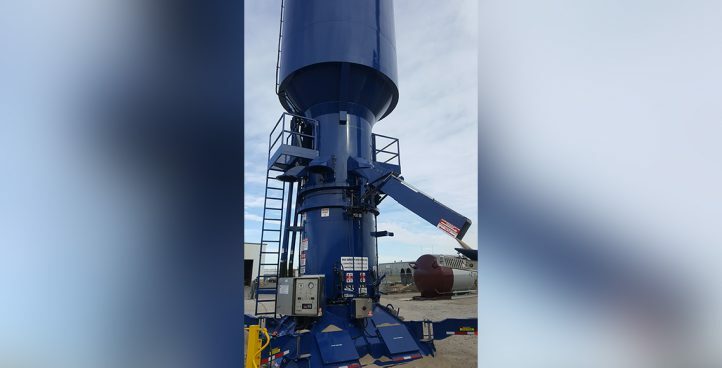 Our modular, low pressure, high flow cement blending plant offers flexible flow configurations with multi-stage blending, dust recycling or waste byproduct collection. 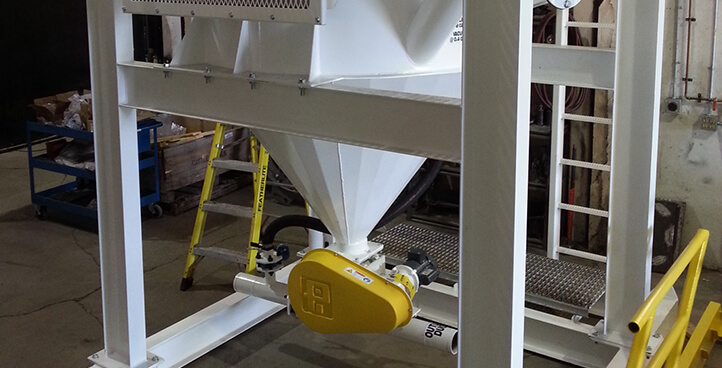 Protect your workers and the environment from hazardous dust contamination with our modular Dust Collector. Quickthree is expanding the Quickstand line of products to give our customers enhanced functionality and use of the Quickstand Trailer. 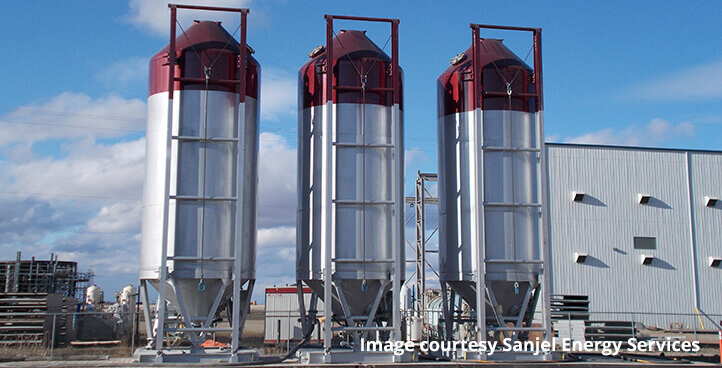 This technology can be applied to many other bulk storage bins, silos tanks and vessels. 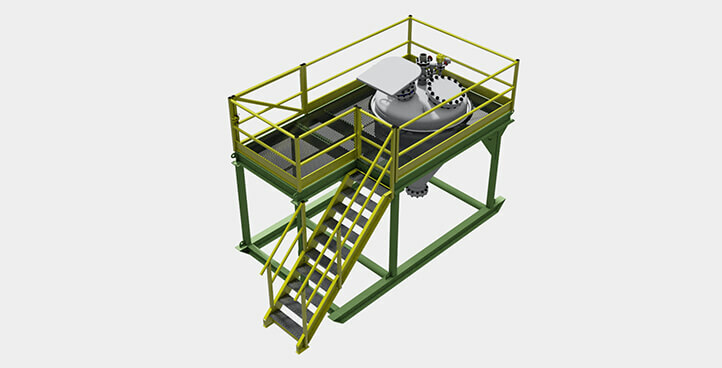 We are developing vertical use fluid tanks for water and frac fluid, and a low pressure powder storage vessel for storing products like cement powder, gypsum, fly ash and more. The modular design can be used to adapt virtually any horizontal storage equipment where ease of transport and space efficiency is a priority. Customers who use multiple lines of product will see the benefits of low footprint use with easy setup and transport while getting the most out of their investment in the Quickstand Trailer. 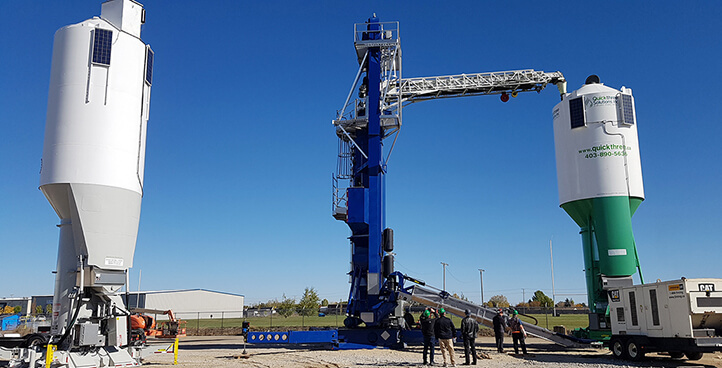 We are currently designing our next game changers: Quickthree’s solution for loading vertical and horizontal equipment and a Quickstand closed system Guar solution.